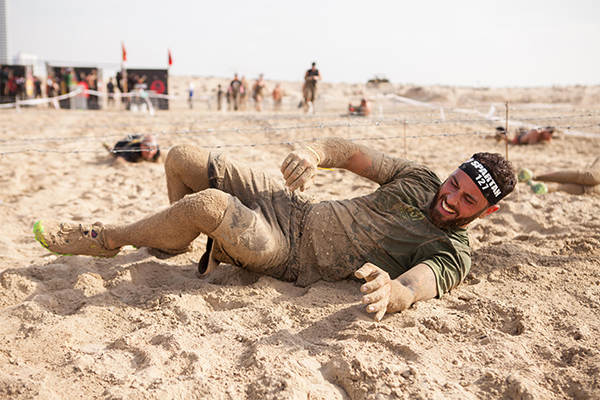 Obstacle course racing is one of the fastest growing sports in the world and the Dubai Fitness Challenge is bursting with events to help get you involved in this fitness phenomenon. 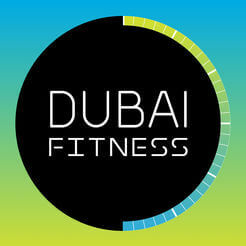 Whether you choose from one of the XDubai Spartan Races, The Pink Ladies Games or take on the National Obstacle Course at Kite Beach Fitness Village, these tips will give you the head start you’re after. Having strength in your grip is key when it comes to tackling many of the obstacles on these courses. Even if you’re strong enough to hold your weight off the ground, on things like the monkey bars and traverse walls, it might be your hands that actually let you down. A simple exercise like hanging off a pull-up bar will increase that grip, and it’s as straightforward as gripping on to a pull-up bar with feet off the ground, and hanging for as long as possible. Try 5 to 10 sets of hanging until failure and alternate the days you do this exercise, making sure you have a rest day between. If you want to be good at something, you need to keep doing it. Come race day, you’ll be hanging around like a pro. Although we’ve left the summer months behind, you’ll still need to acclimatise. Temperatures are above 30 degrees during the day and may feel even hotter when you’re out in the desert sun. If you’ve done all your training in an air-conditioned gym, you’re really going to feel the heat during the race. To keep it simple, move all your running sessions outdoors. Start by doing your longer runs outside in the mornings or evenings and then, if you have the chance, try some shorter runs during a hotter part of the day – as close to the sort of time you’re likely to be outside for the actual race. Explosive power is super important during obstacle races and you’ll need to be able to jump with some height for the various wall climbs. 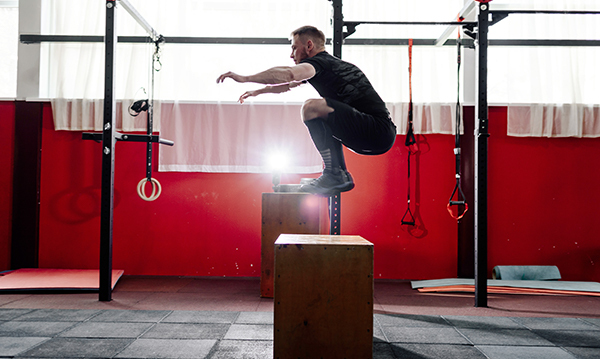 To keep things focussed, work on one exercise, such as box jumps, to improve your power. If you’re trying these outside, then choose a grassy area for safety and somewhere you’ll have access to objects of different heights to jump onto, such as steps, a bench or a wall. If you have access to a gym, then try jumping onto Plyo boxes of different heights. Start with a height you’re happy with and work your way up, trying to increase the height every other day, if you can. Make sure you jump from a standing still position with feet shoulders width apart. If you’ve done an obstacle race before, there’s a good chance you spent a fair part of it drenched. A lot of the obstacles involve falling into, and running through, water so, it’s time to get prepared for that. There’s no easy way to perfect this other than to mirror the feeling of running in soggy clothes – that’s right, you need to get wet. The ideal way to do this is to head down to the beach with your running kit on and take a dip in the sea between sprints on the sand. If you’re feeling brave, then keep your trainers on when you jump into the sea and get a real feel for race day. Our top piece of advice would be to get in as much practice on other obstacle courses ahead of your race. Try out the Just Play Ninja Warrior course at DMCC Park Fitness Village or the National Assault course at the Kite Beach Fitness Village, with its 2km course of 12 obstacles. Both courses will run from 28 October to 22 November, and the good news is that the courses are absolutely free, so you can have as many runs as you like.